INTACH has profiled over a 100 heritage sites in this area, each of which offers a unique insight into the life of people. Kangra Fort also called Nagarkot or Kot It’s an hour and a half from Garli. A walk around this village is like travelling back in time. Dotted with havelis and mansions with different architectural styles from Islamic and Rajasthani to Portuguese, Italian and Belgian, Garli, nestled in the Dhauladhar range in Himachal Pradesh’s Kangra valley, is one of India’s most unusual villages. A treasure trove of heritage buildings, Garli was declared a heritage village along with its sister village Pragpur, in 2002. But it is only now that it is gaining renewed interest among people who are reaching here to have a dekko from far and beyond. Why, you may ask? Because a couple of residents here have converted their homes into tourists resorts. So unlike before when you didn’t have a decent place to stay or eat even if you wanted to explore this place, you have nice hotels, like Naurang Yatri Niwas and Chateau Garli, offering all modern amenities amidst village environs. On an earlier trip to Palampur, I had heard about Garli and its heritage value but could never go there. Recently, when a friend told me about Chateau Garli, I decided Garli it would be this time. Before you get mistaken let me tell you, Chateau Garli is the ancestral home of Yatish Sud, constructed over a 100 years ago, in 1921, by his grandfather Lala Mela Ram Sud, which Yatish has converted into a boutique resort. Incidentally, Lala Mela Ram Sud is the same man who accompanied Mahatma Gandhi to the Viceregal Lodge in Simla for signing the Gandhi-Irwin pact. Yatish very proudly, and rightly so, tells us this, pointing to the picture of his grandfather, Mahatma Gandhi and Mahadev Desai coming out of the Viceregal Lodge (now the Indian Institute of Advanced Study) in Shimla after the Gandhi-Irwin Pact. The photograph adorns the wall of the reception room at Chateau Garli. 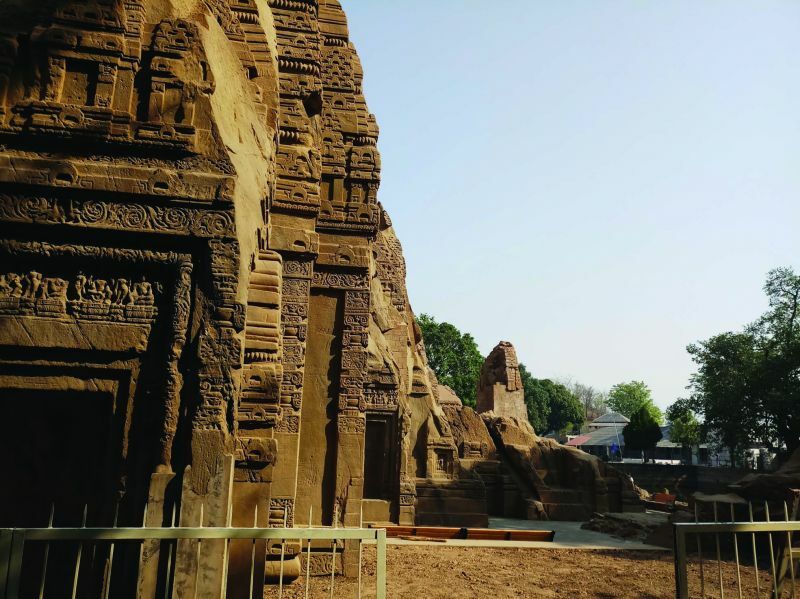 Garli was, and it still is, dominated by the Sud clan from Rajasthan who came to Garli in the 19th century after travelling extensively across the world to establish a trading village and built homes in European styles. Since the Suds had travelled extensively during the British Raj, they were exposed to different cultures, and that’s the reason you see such a rich mix of architectural styles. While most of the original residents have moved out, either for jobs or better living conditions, their houses remain. Most of the homes are in a dilapidated condition, abandoned by their owners, but each of these has an innate charm that draws you. The detailed woodwork, stunning facades and the clearly visible European influence in the architecture awes you. For those who want to study architecture, town planning, anthropology, culture and art, this place can offer many an insight. Though almost every house has a gabled roof and slate shingles, gothic windows, jharokhas, brick jaali work, huge arches and imposing doors, the elaborate woodwork is different in each. Perhaps the builders wanted to outdo each other in beauty. “This shows our ancestors were very house proud,” says Yatish. And these houses even have names like Santri Wali Kothi (because it has statues of two santris (guards) on the roof), Raeeso Wali Kothi (because of the opulent murals and Rajasthani motifs on the walls), Mystery House (nobody knows why) and Bhagwan Niwas (after the name of the owner). Garli is a small village, and two days are enough to explore its nooks and crannies, its allies and wooded areas. But that doesn’t mean, this is all that there is. Making Garli as your boarding and lodging place, you can visit other heritage sites like Masrur Rock Temples and Kangra Fort. And if you are interested in Tibetan art and culture, you may visit Norbulingka Institute. The institute, with its lush green environs, is dedicated to preservation of the Tibetan culture in its literary and artistic forms. The fort stands majestically on the top of a hill from where you can view the entire valley. 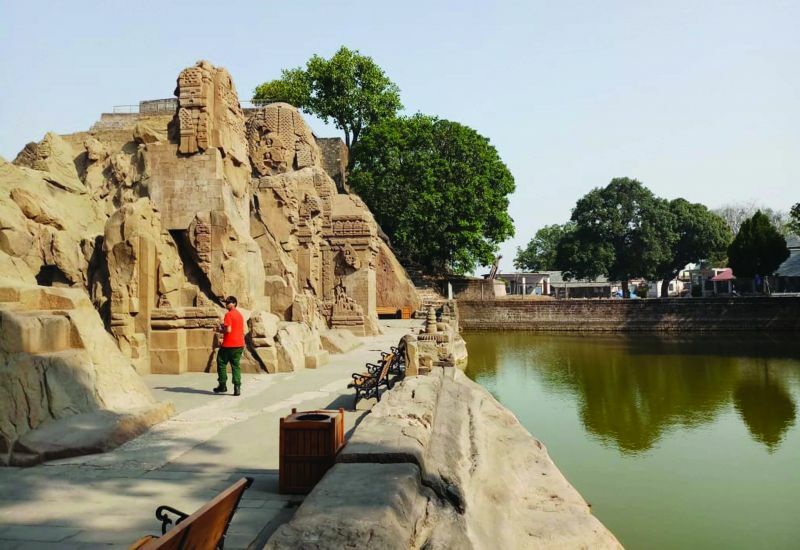 Built by a Katoch king around 1500 BC, it is the largest and one of the oldest forts in the country, and stands at the confluence of two rivers Banganga and Manjhi. 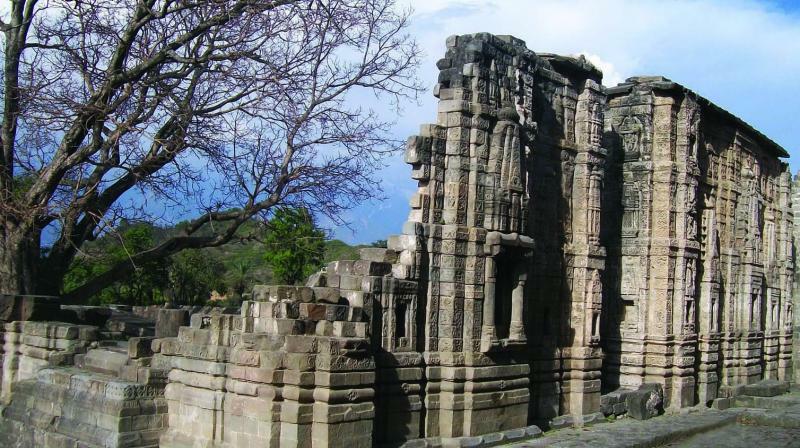 It was destroyed in 1905 quake that hit Kangra valley; only one intricately carved wall of the Laxmi Narayan temple within the complex escaped destruction. The fort is spread over an area of around four km and is guarded by high walls and ramparts. It has seven doors, and many stone-carved temples in the large courtyard. 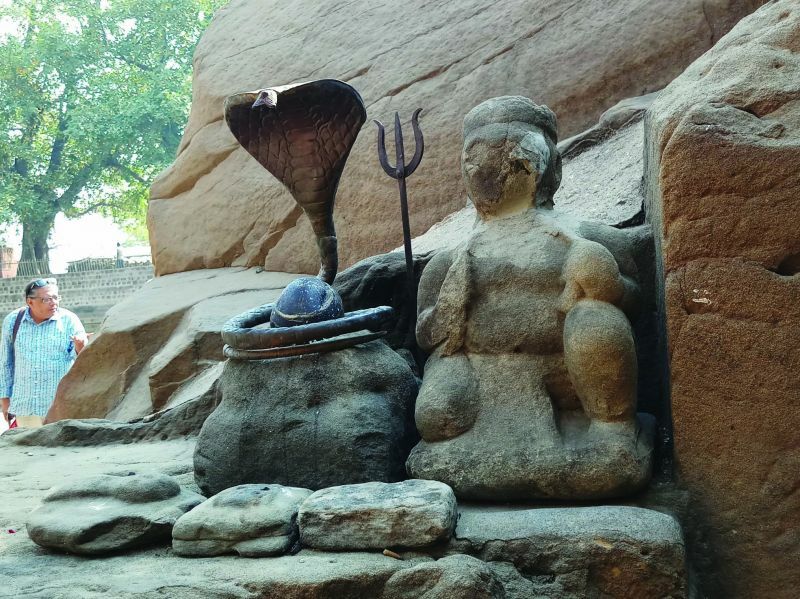 These include Ambika Devi temple, Shitlamata temple, Lakshmi Narayan temple and a Jain temple. Also a must visit is the Maharaja Sansar Chand Katoch Museum that tells the history of Kangra Fort. It is run by the royal family of Kangra and has scores of photos, artifacts and sculptures that tell the story of the times gone by. One main attraction of the fort are its 21 treasure wells, each 4m deep and 2.5m in circumference. History says Sultan of Ghazni looted eight wells. Locals say the rest of the treasure wells are full of riches, though there is no proof of that. The entry fee is Rs 150 for Indians and Rs 300 for foreigners.